It is that time of year! 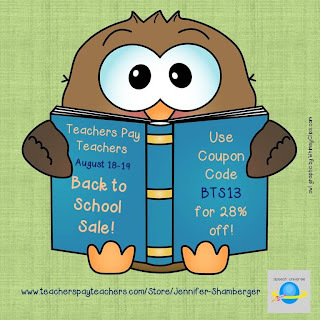 Time for a big sale over at Teachers Pay Teachers. The sale will be held August 18-19. All of my products will be discounted at 28%, including all BUNDLES! 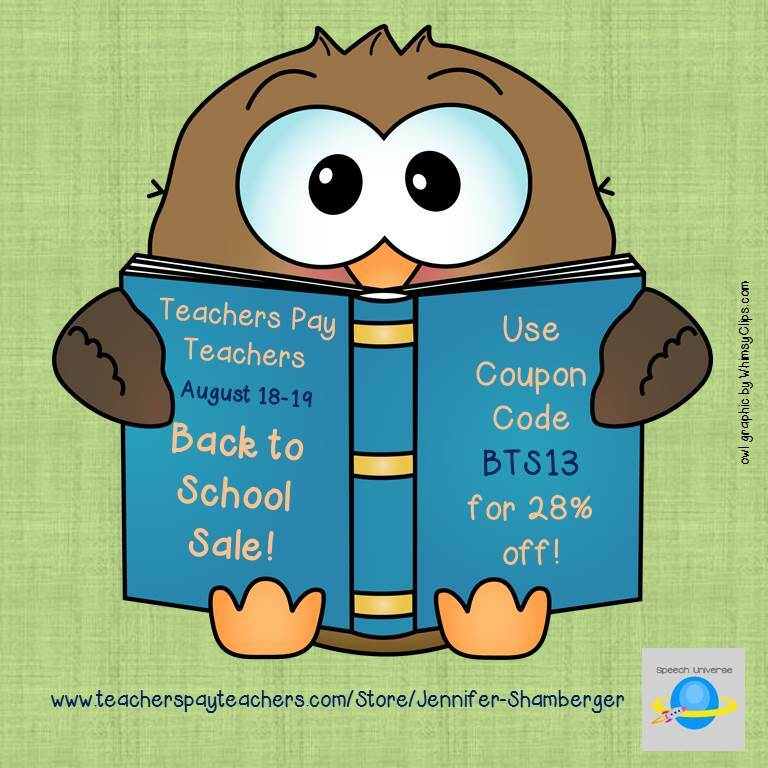 Make sure you use the code BTS13 to get the full discount. You can also find sales in all of these great stores too!